Our best TV shows may be more complex than ever, but our theory of their greatness has become utterly reductive: In this reputedly golden age of television, it all boils down to the showrunner, television’s own auteur. According to this theory, the villain is a clueless suit, sending along absurd notes; the hero is the courageous iconoclast, ready to fight the tiniest battle. Here’s one example from the set of “Mad Men,” recounted in Alan Sepinwall’s recent book, The Revolution Was Televised: The Cops, Crooks, Slingers, and Slayers Who Changed TV Drama Forever: A costume designer presented the perfect button-up dress for a love scene to showrunner Matthew Weiner. “Unzipping is sexier,” he replied—and off she went to find a new dress. Everyone seems to thrill at these stories of micromanaging prowess. It’s why novelists are trying to write cable pilots; why The Hollywood Reporter publishes its annual “Top 50 Power Showrunners”; and why, in 2010, no less an outlet than Cahiers du Cinéma—the French publication that popularized the original film version of auteur theory—put “Mad Men” on its cover. This narrative has been reinforced by long magazine profiles of David Chase (showrunner for “The Sopranos”), David Simon (“The Wire”), David Milch (“Deadwood”), Shonda Rimes (“Scandal”), Lena Dunham (“Girls”), Liz Meriwether (“New Girl”), and others. But this obsession with showrunners—what we might call the showrunner fallacy—has obscured what makes television so great. 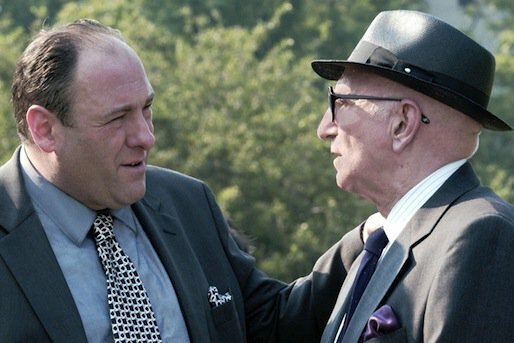 In his (otherwise excellent) forthcoming book, Difficult Men: Behind the Scenes of a Creative Revolution: From The Sopranos and The Wire to Mad Men and Breaking Bad, Brett Martin emerges as the latest exponent of this fallacy. Martin credits the shows in his subtitle, which, together, he labels TV’s “Third Golden Age,” to the showrunners themselves, with their “immense powers of rejection and benediction.” (Martin’s showrunner metaphors tend to be deific). Yet this approach prevents Martin from exploring the people and pressures that are unique to television—exactly what the medium’s reporters and critics should be working to understand. Instead, they praise or blame the showrunner, succumbing to a kind of narrative simplicity that we would never accept in an Emmy-winning drama. Even before the word showrunner entered our cultural vocabulary, television was a writer’s medium. In its first Golden Age (the experimental 1950s), in its second (the network-drama-powered 1980s), and in all the lesser programming in between, television has depended on its scribes. Bruce Helford, who served as a showrunner on “Roseanne,” once framed that dependence like this: “Television is really bad art. It’s like someone going into a museum and saying, ‘We have a lot of blank walls, let’s make some paintings to fill them up.’” The cheapest (and fastest) way to do this was through writers churning out dialogue-heavy scripts. James Gandolifini as Tony Soprano in "The Sopranos." Historically, as Martin explains, television’s other key player has been the producer, especially independent producers like Grant Tinker. It was Tinker who hired Steven Bochco to create “Hill Street Blues,” who then hired a dedicated staff (rather than a smattering of freelancers). Throughout the ’80s, more and more shows switched to the “writer room” model—and more and more head writers pulled double-duty as producers, taking control of their casts, their sets, their budgets, all of it. These folks would eventually become known as showrunners. That didn’t mean that television’s creative types felt fulfilled. Yet. When a young staffer told David Chase (during his days as a network showrunner), “It’s not TV, it’s art,” Chase mocked the staffer. “You’re here for two things,” he told her. “Selling Buicks and making Americans feel cozy.”1 Slowly, however, Buick-buying America split into smaller and smaller niches. Hollywood abandoned its more mature audiences, and HBO began courting them with serious shows—and releasing those shows on DVD. Next came DVR, along with online message boards and exegetical recaps. Not all television was getting better. (CBS launched “Survivor” and “CSI” the year after “The Sopranos” premiered.) But some of it was, and cable channels realized that a smart show or two could make them stand out. Maybe it was art, after all. 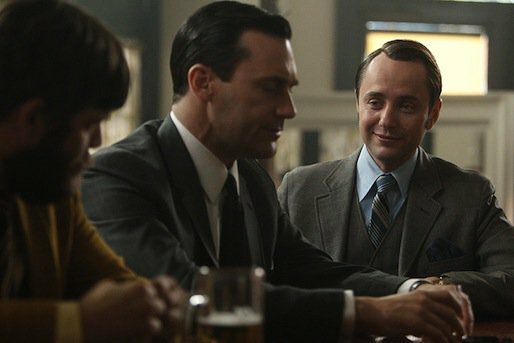 Stan Rizzo, Don Draper, and Pete Campbell in the sixth season of "Mad Men." Most television is created less by celebrity chef than by crock pot. Even the suits can contribute to the shaping of a terrific show. On the pilot of “Battlestar Galactica,” a Cylon says, “God is love.” It was a throwaway line—the show’s allegorical interests centered on September 11—until a studio executive suggested that religious fundamentalism might be the perfect motivation for the Cylon army. Television may have its godlike creators, but the most interesting and essential parts—the real drama—comes not from the deities but from their followers and the institutions they raise up. This seems especially true for television and its future. The medium’s cachet has never been higher, with TV-centric essays running in Harper’s and The New York Review of Books. Yet there are signs of stagnation, as well. “AMC [didn’t] need to worry about [“Mad Men”’s] ratings,” one executive tells Sepinwall in The Revolution Was Televised. “What AMC need[ed] is a show, a critically-acclaimed and audience-craved show that would make us undroppable to cable operators.” To reach that goal, AMC didn’t promote “Mad Men”’s period details or its gorgeous cast. Instead, it promoted a show from “an executive producer of ‘The Sopranos.’” And yet, now that it is undroppable, the channel has started to worry about ratings. AMC’s future isn’t “Mad Men.” It’s “The Walking Dead” and “Hell on Wheels,” two shows that possess a pulpier intent (and higher ratings)—and that have already fired a couple showrunners apiece. Television’s showrunners, in short, may soon find themselves with less power. That’s all the more reason to adjust the way we write and think about their medium. Why not try to figure out how “The Wire” was able to produce a never-ending stream of memorable characters? Was it the writing? The casting? Or why not focus on John Toll, the talented cinematographer of “Breaking Bad”? In Martin's own book, there's a brief anecdote where Toll walks into an Albuquerque Circuit City and sees his show playing on the banks of bigscreen televisions. He proceeds to freak out at the employees over the televisions’ settings: “Do you realize how long I spend lighting these things?” he asks. But that’s the thing: we don’t. Martin’s book abounds with this sort of amazing detail. Here’s another one: As Fred Savage’s Kevin approached high school, ABC considered installing Chase as the showrunner for “The Wonder Years.” Martin says Chase wrote a script that had Kevin “discover The Catcher in the Rye and start smoking cigarettes”—after which the network decided to pass. I pieced together the scene’s genesis from interviews and the DVD commentary.